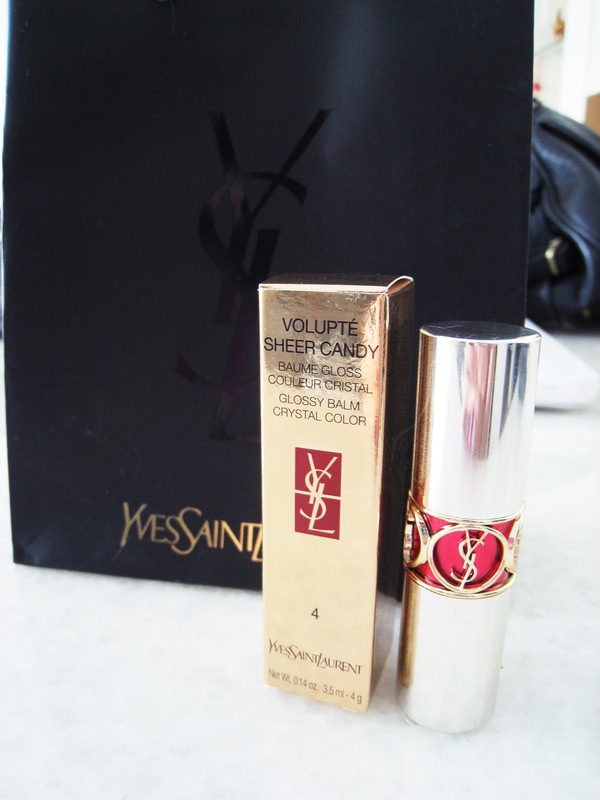 Just got mine yesterday at YSL Beauty outlet @ ION. Retailing for S$45. I've always wanted something moisturizing and a little sheer for work as some lipstick I own tend to dry up after 1-2 hours and that just looks nasty. Highlighting all the fine lines on my lips. Not flattering at all. 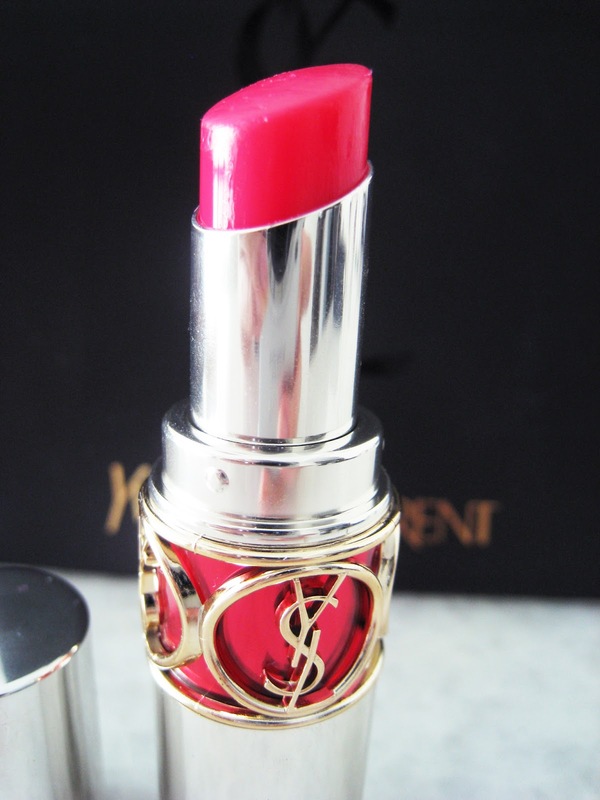 So since I love YSL's Rouge Volupté so much, I decided to try out their Sheer Candy line that is a lip balm type of sheer lipstick. 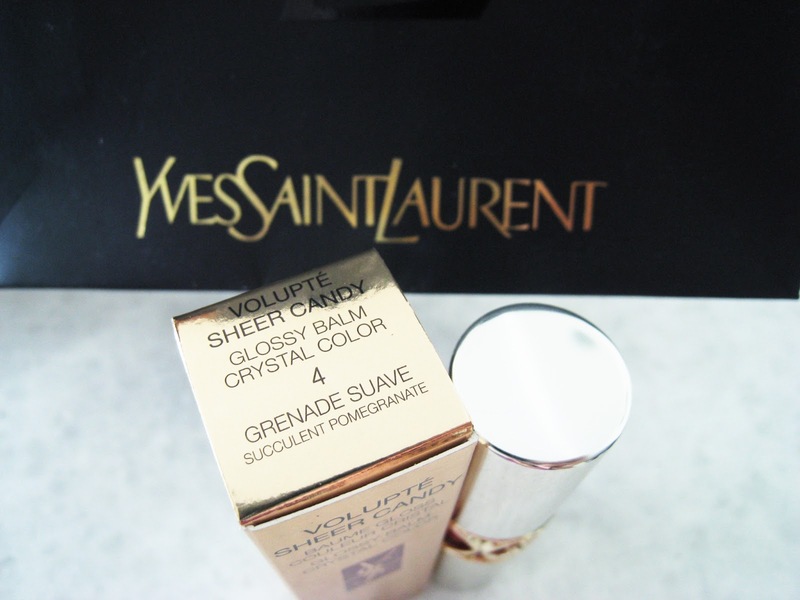 According to YSL, the Sheer Candy are infused with fruit extract which is rich in vitamins and antioxidants. Leaving lips feeling soft and hydrated for up to 8 hours. I got it in shade #4 Succulent Pomegranate - a hot pink shade with red undertones. 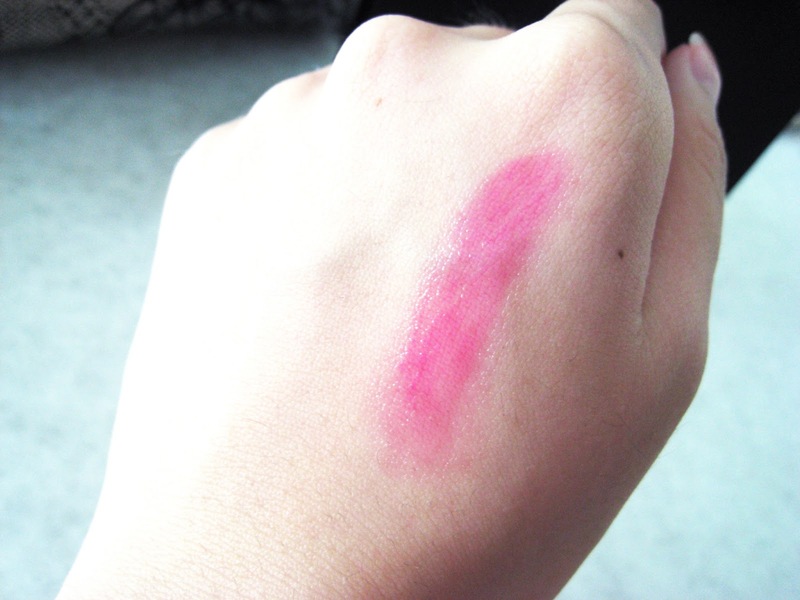 Here, you can clearly see the difference in texture and pigmentation between Sheer Candy and Rouge lipsticks. Rouge ones are not as forgiving as the fine lines on your lips will be visible, so I recommend putting on some lip balm before applying. Recommend getting this! This is definitely on the pricey side, so for those who are not willing to splurge on this, you can consider Revlon Lip Butters! I will be getting mine soon. Can't wait to try out the new colours they have for this season. Hopefully Singapore will have them.